To help you enjoy everything that your BMW has to offer, Competition BMW of Smithtown has a Genius program. Our BMW Geniuses, are available to provide you with helpful product information and can answer any questions, whether it is over the phone or in person. At Competition BMW, our Genius team is specially trained to be able to instruct you on how to use all of the great technological features of your BMW, whether it’s brand new or if you have owned yours for a while. That way you can ensure that your BMW can provide you with years of driving a pleasure. To help you enjoy everything your BMW has to offer, a team of BMW Geniuses is available to provide you with helpful product information and to answer all questions you may have wherever you are. Your new BMW is filled with amazing features and functions. 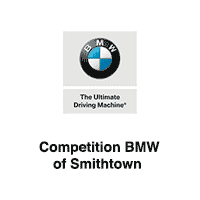 After you have had the chance to familiarize yourself with many of them, we encourage you to reach out to Competition BMW of Smithtown to set up your complimentary BMW Encore appointment. It is a special session scheduled at a time of your convenience, dedicated to answering all of your questions about your new BMW.